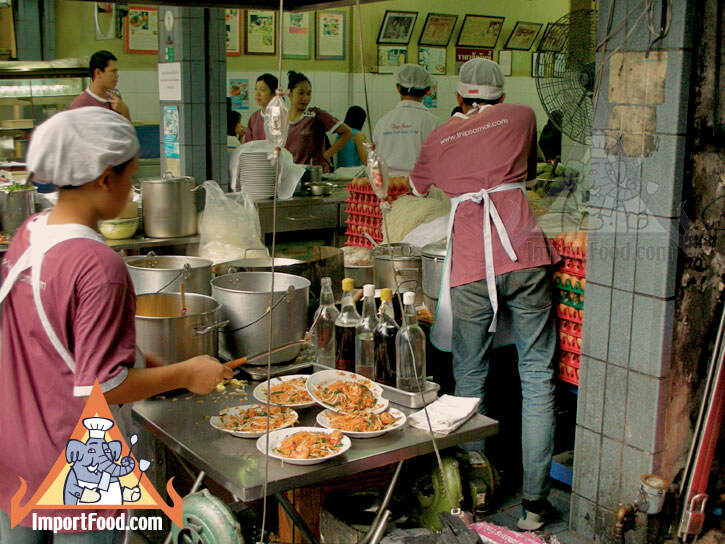 Thip Samai has been a Bangkok institution specialzing in Pad Thai since 1966, and it's often mentioned as the best in Thailand. 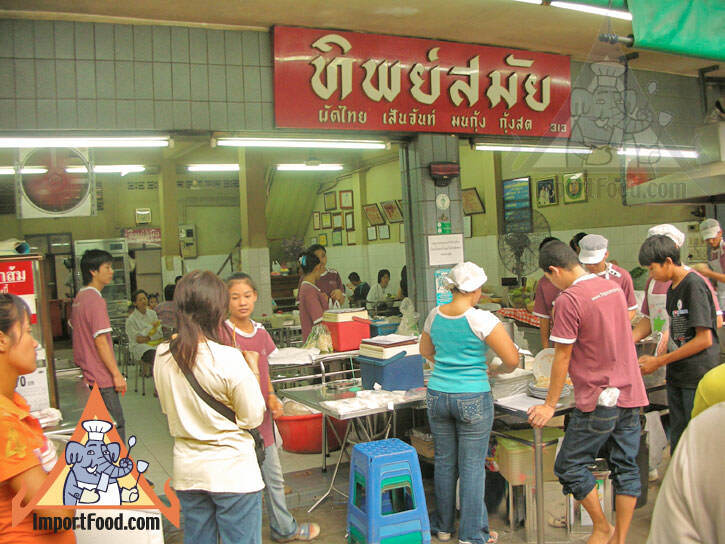 Commanding high prices for curbside food is not easy given all of the competition in this free market, but Thip Samai manages to charge 5x the average price and it's still crowded from the moment it opens until the doors close. 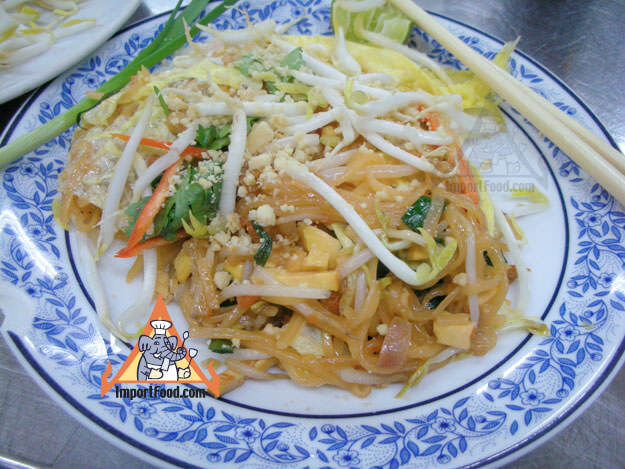 A lot of Thai people make a point of eating here if they're visiting the area, and we definitely suggest coming to try the Pad Thai if you're a foreign visitor serious about Thai food. One thing you will notice right away is the cleanliness of the restaurant. 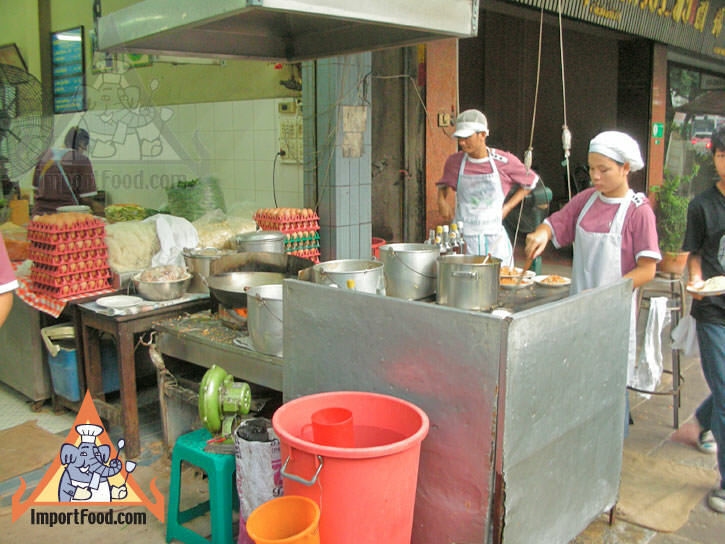 Thip Samai really works hard to ensure the food, floors, tables and chairs are clean. 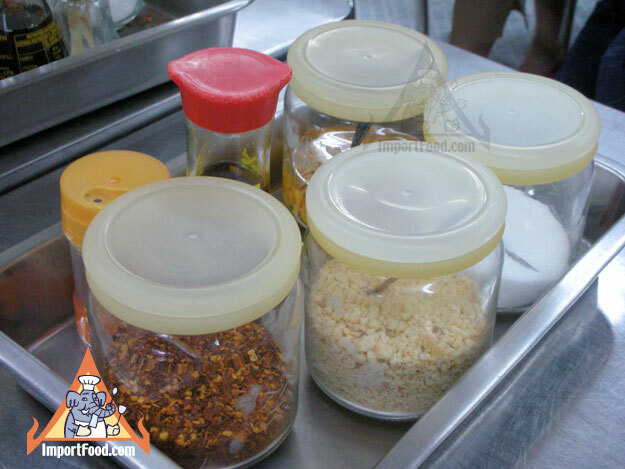 On every table you'll find a fresh, generous assortment of Thai table condiments (see our photo). The Pad Thai is made in an assembly-line fashion, so they can really crank out high volume, but the overall flavor is splendid, and it's fun to watch them work. Thip Samai only uses the finest quality ingredients, including shrimp roe and, what is often mentioned as the key ingredient, the freshest palm sugar. 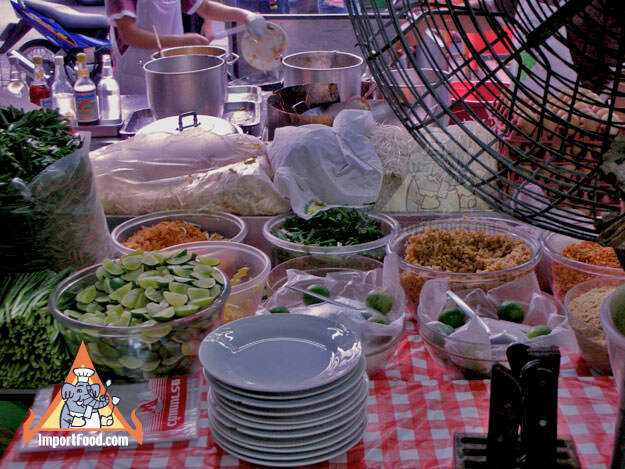 Various types of Pad Thai are served here. 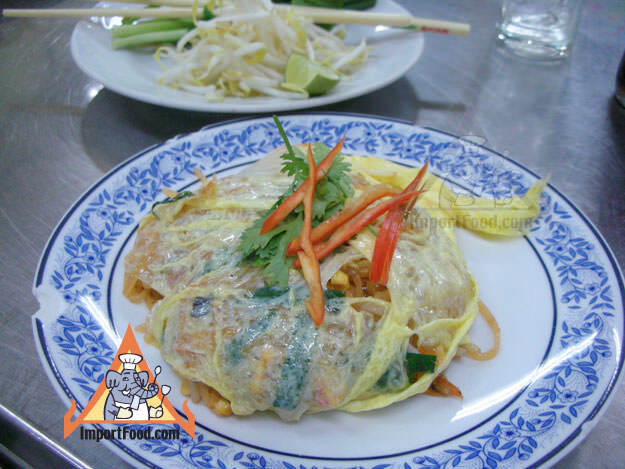 Regular Pad Thai with rice vermicelli, Pad Thai with firm and chewy rice stick noodles, Pad Thai wrapped in an omelette (what we ordered, pictured here), and Pad Thai song kreung (with big prawns, sliced mango and crab meat).